In this article, I explain how to use AirPlay on your Apple Watch. AirPlay is available in the Music App of your Apple Watch. You can reach it by firmly pressing (force touch) on the playing screen. After that, the Apple Watch shows a menu with the AirPlay icon. Press it and you can see all the available AirPlay Devices in your network. By choosing an Airplay Device, you set your iPhone’s AirPlay target. Just to make it clear: This option just gives you the possibility to set your iPhone’s AirPlay target (the same like you would do it directly on the iPhone), but it doesn’t mean that your Apple Watch actually can stream music via AirPlay. Instead, you can stream music via Bluetooth. To do that, you can find the corresponding options behind the button “Source” on the same screen where the AirPlay icon is. Another way to use AirPlay in an indirect way: There’s also the Remote App on the Apple Watch. It can control e.g. iTunes on your Mac (which you can be set to stream somewhere via AirPlay). Any tipps or hints about Apple Watch and AirPlay? 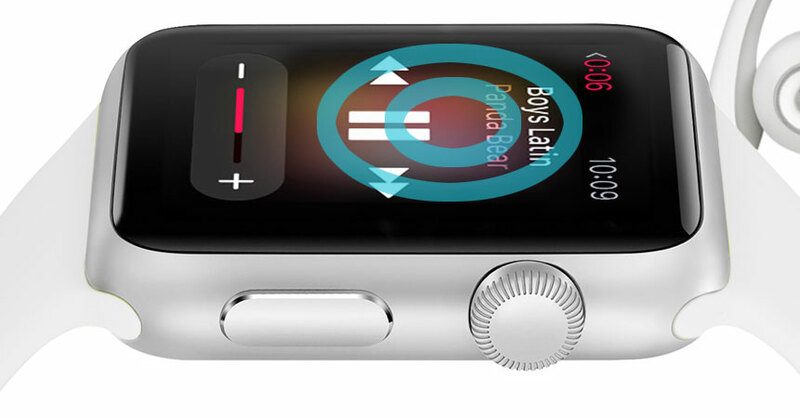 Please leave a comment, if you have any tipps or information for AirPlay on an Apple Watch. Is there a way to use an iPad/iPod instead of an iPhone? “Using the Remote App” THANK YOU! Using the remote to control a music library on a desktop machine is an excellent tip I haven’t seen elsewhere. I wish the giant Airplay button in the Settings glance could stream via Airplay, though!